Lydia is President of the Board of the Asante Network. She is an experienced world traveler, and is passionate about the women with which Asante Network works. 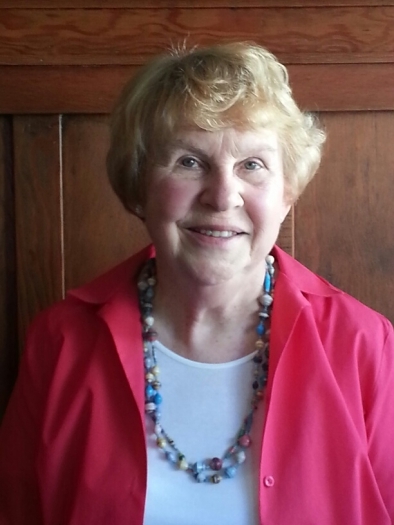 She retired from teaching US Government and World Studies at Wasilla High School 6 years ago, and currently contracts with the State of Alaska Child Nutrition Programs as a Program Trainer and Program Reviewer. Living in Chugiak, AK allows her to cross-country ski and snowshoe in the winter, as well as hike, camp, and bicycle in the summer. She is also active in her church and is a discussion leader for BSF bible study. Lydia became involved in the Asante Network shortly after her retirement. She saw it as an opportunity to give back to the world community and live out her faith, by assisting women in a country she fell in love with during her first visit in 2000. Her vision for Asante is really a vision for the women – expand the market for the women’s goods, thus ensuring financial independence for the women and their families and the sustainability of Asante Network. 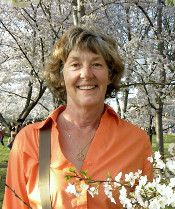 Kathy Booker retired in 2003 from the Oakland Unified School District after 20 years of teaching 3rd and 4th grade. She graduated from the University of Washington and received her Teaching Credential from Cal State, Hayward. 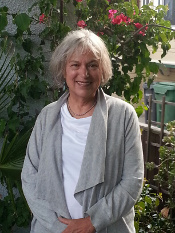 She has been married to Stan Booker for over 40 years and lives in Alameda, California. She and Stan have 2 sons, a lovely daughter-in-law, and two beautiful grandchildren. Kathy enjoys spending time with her grandchildren, gardening, reading, and making quilts for at-risk children. Kathy got involved with Asante when Mary Ann Sheets-Hanson visited her church in Oakland in April 2005. The beautiful batiks hanging in the windows made her want to go to Africa. She was looking for meaningful volunteer work, but knew she no longer wanted to work directly with children. After the African Bazaar, she asked Mary Ann if she needed volunteers and by the end of the week both Kathy and Stan were Asante Volunteers. She traveled to Tanzania and Uganda for the first time in September 2006 to meet the women who make the beautiful crafts. She has now been to East Africa 4 times and does approximately 14-16 sales per year at local and out-of-state bazaars. Her vision for Asante Network is to have enough dedicated volunteers to continue the work so women in Africa can continue to be empowered to live with hope and dignity. Pat Daily was born in the lush green, wooded area in the Northern part of the Lower Peninsula of Michigan. She had the unique experience of teaching in a "one room" school for 4 years shortly after graduating from high school. She eventually received a Masters Degree in education from Eastern Michigan University. Later in life she went back to school and became a Registered Respiratory Therapist and worked in acute hospitals. Besides having an interest in education and health care, Pat has spent over 9 years working with Asante Network as a Volunteer. She has been involved in 90% of all aspects of Asante's work. Other interests include live theater, especially opera, healthy fresh food (she considers herself a "culinary thrill seeker"), family, traveling, gardening, and church. Why is she involved with Asante? Life has much more interest, meaning, joy, and purpose when you know you are helping and making a difference in the lives of others. Her vision for Asante: that it might continue to grow in the number of volunteers; that it would concentrate and develop more fully a mission of support to women and families; that it would foster and develop lifelong skills and independence for all the people that Asante touches. Stan Booker is a retired public school teacher with 31 years of experience teaching woodworking to middle and high school students. 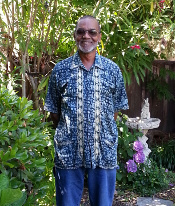 He received his teaching credential from San Francisco State University. He has been married to his wife Kathy for 42 years and they have two sons and two grandchildren. 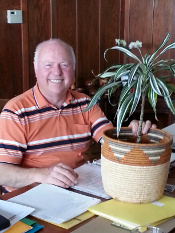 His special interests include spending time with the grandchildren, woodworking, gardening, cooking, and fishing. His work with Asante Network began when Kathy retired. While looking for meaningful projects to work on, Kathy met Mary Ann Sheets-Hanson, the founder of Asante Network, at a presentation she gave at their church. Their involvement has taken them to East Africa four times since 2006, each time meeting and working with the women who are responsible for the beautiful crafts and clothing that are marketed here in the U.S. While doing this meaningful work, they also took time to experience some fantastic safaris to view the wildlife of East Africa. Stan feels that Asante Network, next to teaching at public school, is probably the most meaningful work he has done. His hope is to attract and encourage other volunteers to carry on this effort to secure the organization's future. 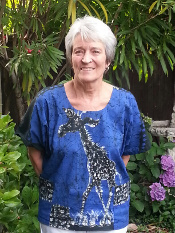 Nancy Taylor is a retired accountant who joined the Asante Board in May 2013. She received her BS in Business/Accounting from CSU Hayward. Before she retired in 2010, Nancy was the Accountant for the East Oakland Community Project, the largest homeless shelter in Alameda County. Her passion for social justice, which has played a large role in her adult life, has been nurtured through her many faith-based affiliations. She likes to tell people that finally, in the last assignment of her career, her passion for social justice, her liking of people, and her professional life all came together. Her other interests are her husband, family, church, neighborhood, and garden. Since her retirement, Nancy has been sorting out how she can make use of her skills and time to pursue her interests. She has been a big fan of Asante's products since 2006, and the Asante basketry, textiles, and carvings decorate her house. She hopes that her presence on the Asante Board will be rewarding for both her and the Asante Network. John "Jack" Hanson is an educator, environmentalist, and co-founder of the Asante Network with his wife, Mary Ann. He holds a Masters in Industrial Technology (1967), Educational Media-Curriculum (1969) and Education Administration and Environmental Studies (1973) and installed thousands of solar panels in California as one of the first Solar Contractors in the US. He has worked on numerous projects in Tanzania and his primary focus in development is on high efficiency wood stoves, solar ovens, bio-intensive gardening, and composting toilets. He has a passion for the "Floresta'" type community developments and hopes to facilitate basic educational opportunities for non-college students in vocational training. His vision for Asante is for the organization to stand as a vital link in supporting women’s economic independence and development. Karen Hebel was an Early Childhood and Elementary educator for 38 years in Lutheran schools in Illinois and N. California. One of her greatest blessings as an educator was as Director/Teacher of the S. E. Asian-Hispanic Mission Program in the 1980s in Oakland, CA, preparing young children for Kindergarten; teaching them English as a Second Language and classroom experiences. She was also an Instructor of ESL teachers and a teacher of adult ESL classes for Mien-Lao refugees during that time. Karen and her husband, Tim, live in Oakland, CA and feel very blessed that their two grown children and twin grandchildren also live in Oakland. She enjoys working in ceramics, wood-turning, gardening, reading, traveling, and most especially, spending time with her grandkids. Karen joined the Asante Network Board in May 2016 after having been an Asante volunteer for several years, helping with bazaar sales locally and out-of-state along with hubby Tim. She believes strongly in the work that Asante does to support women and their families in Tanzania and Uganda through the sharing of their beautiful hand-work with the world -- thereby helping these women to earn a fair wage and to feel empowered and supported in their efforts. She is very excited to meet the women artists in Eastern Africa one day in the near future. She knows that other volunteers are crucial to the future of Asante Network and to the artisans in Tanzania and Uganda whom it helps. Karen urges you to please consider this important volunteer opportunity with Asante Network!